Do you know How To Take Care Of A Newborn Baby? Parents witnessing constipation in toddlers are really pity and they even experience pain. It is one of the most problematic things, which even healthy kids suffer from at some point. Though it is a common cause of issues, sometimes it leads to chronic problems that change into a big challenge for both parents and the toddlers to deal with. The common cause for constipation in toddlers is often the behavioral activity & diet routine and not purely because of any abnormality in anatomical or any organic issues. Here follows some solutions on how to tackle constipation problems with toddlers. First see to that, how you determine that your baby is suffering from constipation! Not just because that your kid is not pooping every day and if there is any variation in the bowel movement. 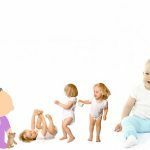 And when the age is getting added, there might be variation in frequency of stools – the numbers of frequency times get decreased from infant stage to toddler stage. In general, most of the toddlers say for about 95% do have alternate day bowel movements. Toddlers get constipated because of fiber content lack in the food supply. They in take many foods that comprise even with good numbers of carbohydrates, minerals, and vitamins but with less amount of fiber, hence causing constipation. Stuffs of junk foods, fast foods, canned foods, and processed foods lack fiber and highly intake of those foods ultimately leads to constipation one day. Water content from the withhold stools gets reabsorbed into the colon, which causes stagnant stool that become even more harder & tighter to pass, causing severe pain to the toddlers. And often little amount of stools get flushed out, in which medically it is termed as “faecal incontinence” or soiling. And below following are other set of steps to soften the stools that strain your toddlers from pooping. Right dietary supplement: See to your toddler’s food chart, check out what are all the essential nutritious supplement are there and not there, and add more number of fiber rich foods into it. You can just follow the below appending do’s and don’ts for betterment. You can also consider banana, but be sure to pick the right one, wherein some varieties may lead to constipation in toddlers. Add more wheat products such as breads, rotis, pastas etc. Make them to engage in any set of physical activities – but be sure those are apt for your toddlers. Keep in mind activities must not burden your toddler. Add more fluids: Make your toddler to drink plenty of liquids as in the form of water, juices, and soups. And there also be variation in the amount of fluids they intake which actually depends upon the toddler’s age. Hence mommies have to keep a ready checklist, and so you can have measuring container or a sipper to calculate the quantity on every day, week or monthly wise. Follow regular meal schedule: Eating is a natural stimulant for the human beings as in when bowel will ask for it on its time. If you practise the bowels accordingly, the system will come for an automatic routine. The time that is in taking the food, processing it for digestion, sucking up for energy, and pushing out the wastes. Hence there must be regular timing for breakfast, lunch, evening snacks or meals, and dinner. Such above discussed small changes will help mostly for the constipation in toddlers. In addition, you can also have a talk with your doctor for right supplement as he knows about your toddler’s health in terms of chemically.